Thank you for seriously considering becoming an Equine Guardian for Farplace. These terms and conditions are necessary to ensure the well-being of the animals that are being cared for as part of our Rehoming Scheme. It should also be noted that these Terms and Conditions form part of the Rehoming Scheme Agreement. 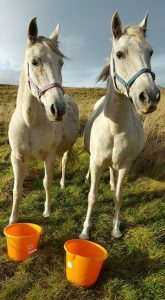 The horses, ponies and donkeys in the Rehoming Scheme remain the property of Farplace Animal Rescue. Routine visits from Farplace will be agreed on a regular basis to help ensure the well-being of the animals and to offer support where needed. Farplace retains the right to remove our equines from a Guardian if we believe it is in the best interest of them to do so. All costs relating to the equines including feed, bedding, dental, farriery and other veterinary care will be the responsibility of the Guardian. Suitable and safe grazing and/or turnout land is an absolute must. External perimeter fencing must be permanent, secure and well maintained. A water supply must be available nearby. A stable or shelter of a suitable size must be available in case of severe weather. Guardians need to spend sufficient time with the equines. This will generally improve their sociability and well-being. All horses, ponies and donkeys should be checked at least twice daily. The Head of Animal Care must be informed of any changes in circumstances that affect the welfare of the equines. In the unlikely event of a foal being born to a rehomed equine the foal shall be owned by Farplace who will determine the most appropriate arrangements for the foal’s future well-being. Appropriate third-party insurance will be required. No riding is permitted. Farplace is a vegan-run organisation and riding is against vegan principles. In addition, no equine from Farplace should be used for commercial or promotional activities without prior consent of Farplace Animal Rescue. Farplace will provide details of when vaccinations, worming and general health care are needed, including veterinary, farriery and dental care of the animals. Equines’ hooves must be trimmed regularly by a qualified farrier. Parasite tests and treatment to be in accordance with guidelines from the attending veterinary surgeon. Vaccinations against flu and tetanus must be maintained, it is recommended that when the vet attends to vaccinate the animals that a routine health check is carried out. A minimum of one annual dental check is to be carried out by a qualified equine dental technician or a veterinary surgeon. Where treatment and further checks are recommended this must be adhered to. A dental chart should be obtained following each examination and treatment and a copy sent to Farplace Animal Rescue so that the animal’s record can be updated. If an equine becomes ill or suffers serious injury the Guardian should ask a veterinary surgeon to attend. The head of Animal Care should be informed whenever the vet is called (other than for routine care). When a horse, pony or donkey dies or is put to sleep, notify the Head of Animal Care as soon as possible. Under some circumstances, a post mortem may be required. This will be requested only following consultation between the attending veterinary surgeon and The Head of Animal Care. The cost of Euthanasia and if necessary, post mortem, will be met by Farplace Animal Rescue. It is a legal requirement that an identification passport must be kept for every equine. The passport will be provided by Farplace and must accompany the animal when relocated under the Rehoming Scheme. The Guardian is responsible for the safe keeping of the passport and may be liable for replacement costs if lost or damaged. It must be returned to Farplace when the animal dies or is returned to Farplace. The passport must be available to an attending veterinary surgeon or a local authority enforcement officer upon request. Guardians are advised that, in the event of an equine being moved for any reason (however temporary) from the place where they are normally kept, the Guardian and/or transporter must ensure that the passports are available for inspection either during the journey or at the new location. 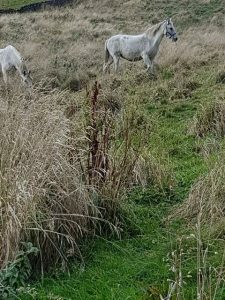 Guardians must inform Farplace of any movement of equines that involves an overnight stay and if not permanent the expected date they will be returned to their normal accommodation.